Americans love to eat out. For the first time in history, people in the United States are spending more money in restaurants than they do buying groceries, reports the American Customer Satisfaction Index (ACSI) in its 2016 Restaurant Report (registration required). That's at least partly because we're happier with limited-service restaurants than we ever have been. That category, which includes both fast-food and fast-casual eateries, rose by 2.6 % to an average of 79 on the 100-point ACSI satisfaction scale. That's lower than full-service restaurants, which had an 81 average, down from 82 in 2015. The limited-service sector has gained partly by appealing to customers who want higher-quality along with quick service. "Fast food restaurants appear to be capitalizing on this trend more than full-service restaurants, maintaining the lower prices and speedy service that has long defined the industry, while also appealing to health-conscious consumers via more diverse offerings and higher-quality ingredients," said ACSI Chairman Claes Fornell in a press release. And while full-service establishments have a higher overall rating in ACSI's survey (which is based on 4,786 customer surveys collected in March 2016) the highest-rated restaurant is a fast-food favorite. What is America's most-liked restaurant? Chick-fil-A, which also led all restaurants in customer satisfaction last year, improved its 2015 score of 86 by 1% to 87. That was enough to beat out full-service leader Cracker Barrel (NASDAQ: CBRL), which scored an 83, up from an 80 last year. In addition The chicken chain, which attracts devoted audiences to the opening of every new restaurant, handily beat limited-service runner-up Papa John's (NASDAQ: PZZA) score of 82. The pizza chain did gain 5% jumping from a 78 last year to an 82 this year. And while Chick-fil-A, and to a lesser extent Cracker Barrel and Papa John's, are the big winners this year, the biggest loser was clearly obvious. "Higher quality drives the improving scores for the industry, but quality issues relating to food-borne illnesses knock down Chipotle(NYSE: CMG)," said ACSI Managing Director David VanAmburg in the press release. "Just as Netflix's stock took a dive after the singular event of its pricing and Qwikster branding misstep in 2011, Chipotle's stock also has fallen after its food-quality crisis." Chipotle had the biggest percentage drop of any rated restaurant, falling 7% from an 83 to a just-below-category-average of 78. But, as bad as that drop is, it's hard to imagine that the previously well-liked Mexican chain won't eventually climb back to the top, barring another food safety scare or E. coli problem. 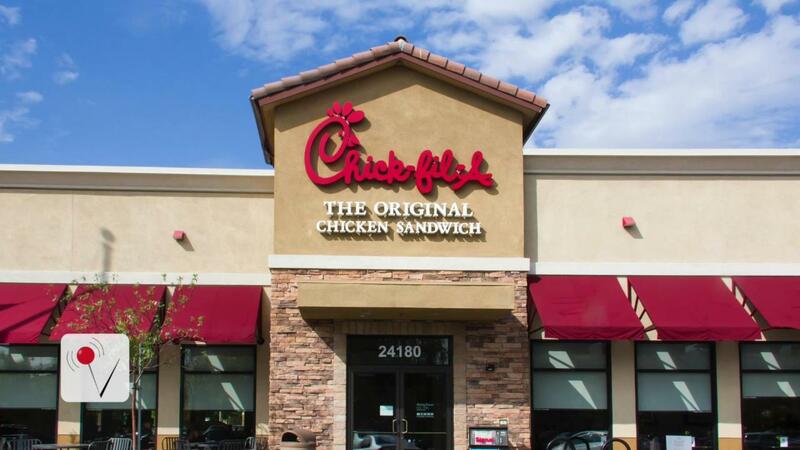 While Chick-fil-A has not had a food contamination issue, it has not entirely avoided scandal. The company, which is famously closed on Sunday -- a tradition with religious roots -- was at the center of controversy in 2012 when its CEO, Dan Cathy, spoke out against gay marriage. Cathy has not publicly changed his position, but he also made it clear in 2014 that he does not think his restaurant chain should be openly taking a position on the issue. "Every leader goes through different phases of maturity, growth and development and it helps by (recognizing) the mistakes that you make," Cathy told The Atlanta Journal Constitutionin March 2014 . "And you learn from those mistakes. If not, you're just a fool. I'm thankful that I lived through it and I learned a lot from it." Cathy opposes gay marriage personally on religious grounds and at the time he made that known it led to protests in front of some restaurants. It also made the decision to eat or not eat at a Chick-fil-A a political statement. Clearly as Cathy has been quiet on the issue while also stressing that his beliefs never led to any discrimination against customers or employees on the basis of sexual orientation the controversy has died down. Now, it appears, that the chain's well-loved chicken sandwiches have helped it fully move past any controversy. ACSI noted that "product focus has its benefits" pointing out that Chick-fil-A and Papa John's, which "often held the top spot in the industry" before the chicken chain became part of the survey, both have very focused menus. Daniel Kline has no position in any stocks mentioned. His wife loves Chick-fil-A. The Motley Fool owns shares of and recommends Chipotle Mexican Grill and Netflix. The Motley Fool owns shares of Papa John's International. Try any of our Foolish newsletter services free for 30 days. We Fools may not all hold the same opinions, but we all believe that considering a diverse range of insights makes us better investors. The Motley Fool has a disclosure policy.